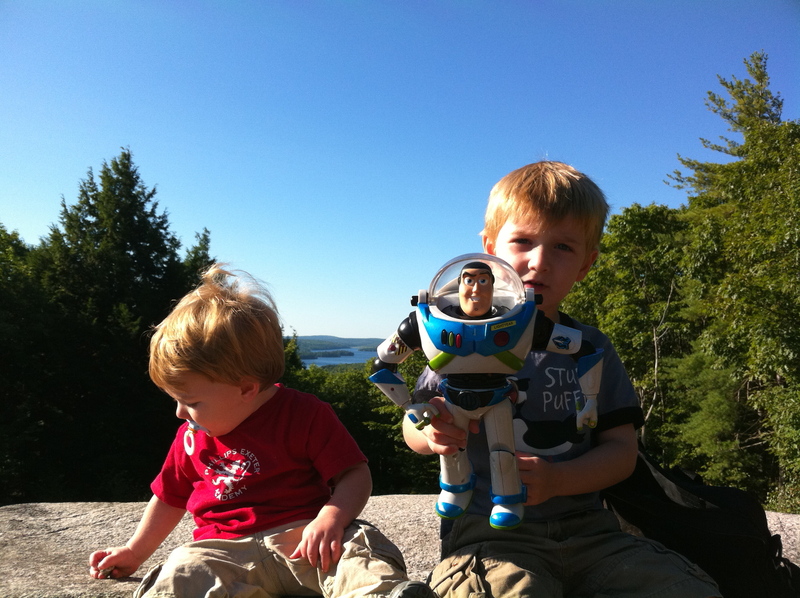 Buzz Lightyear, Simon and Malcolm Courchesne hiking in the Kennebec Highlands. The SEANET blogger has returned after two weeks in Belgrade, Maine. While you, dear readers, were pining for new blog content, the Courchesne family was sighted all over the Belgrade Lakes region, hiking, fishing and kayaking. Back out on the coast, we received a report of another strange sighting: a South Polar Skua washed up dead on Seawall Beach in Phippsburg, Maine. This is not a SEANET beach, and the report came via a Maine birding listserv. Birder Peter Vickery found the specimen on August 18th. Skuas are closely related to gulls, but make their livings in what many consider a morally reprehensible manner. The birds are predatory during the breeding season, hunting lemmings, small birds, and other animals. During the rest of the year, however, they engage in kleptoparasitism, relentlessly harassing other seabirds into relinquishing their honestly acquired fish meals. But a bird’s gotta live, right? South Polar Skuas breed in the Antarctic and migrate to the north Atlantic during our summer (their winter). The birds never come ashore (if healthy) while here in this hemisphere, though birders out on ships offshore do encounter the species. 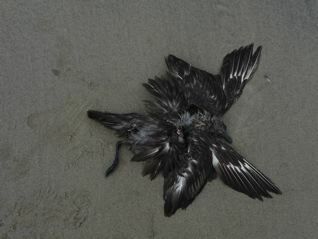 A very cool find: a South Polar Skua washes up in Phippsburg, Maine. Seawall Beach is one we’d love to have covered by a Seanetter, so if you or someone you know is interested, contact us; clearly, you never know what you might find there! SEANET blogger slacks while lobster researcher works. SEANET blogger skipped blogging Tuesday to play on the beach. Being a SEANET volunteer is a day at the beach. Being a SEANET staff member, however, is usually a day in a cramped office in central Massachusetts. Your SEANET blogger was all the more grateful, then, to head out to Cape Cod for a brief vacation this week. Hence, the blogging lapse on Tuesday. Unfortunately for you readers, but fortunately for me, the SEANET blogger will be leaving for another vacation on Saturday. So be forewarned, blogposts are likely to be sporadic for the next two weeks. I will try to refrain from posting nothing but photos of my own children frolicking in a lake in Maine. Actual news for today: SEANET has long been interested in the role of plastic in marine ecosystems, but seabirds are not the only organisms ingesting plastic. Hans Laufner, a researcher at the University of Connecticut, has just released the results of a multi-year, multi-million dollar research project investigating the precipitous decline of the lobster population in Long Island Sound over the past decade or so. The decline was known to be due at least in part to “shell disease” which causes deformities and death in lobsters. Laufner’s research shows that exposure to alkylphenols (like the well known BPA in plastic food containers) causes the lobsters to be more susceptible to shell disease. He studied a number of “hotspots” where high levels of the chemicals are washed into the waters of the sound and found that lobsters in those areas are more severely affected by disease and deformity. 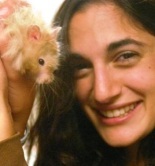 You can read more about Laufner’s research at UConn’s website. 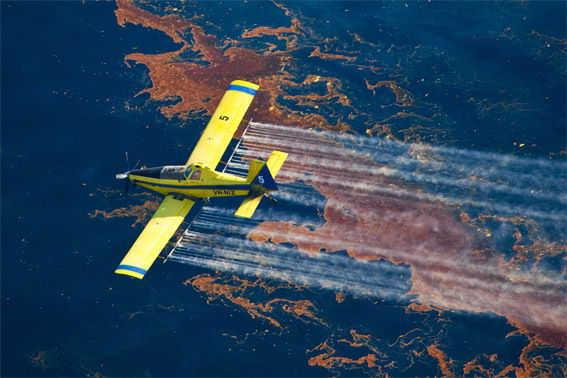 After the April 20th explosion of the Deepwater Horizon rig in the Gulf of Mexico, BP began using chemical dispersants to combat the plume of oil spilling into the ocean. 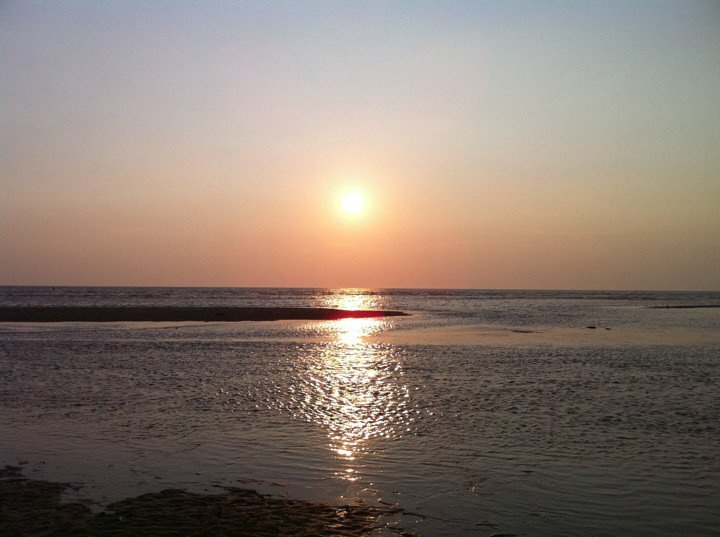 The use of dispersants is generally considered to protect sensitive shorelines at the expense of deeper waters. The oil binds to the dispersants and rather than drifting ashore as a devastating slick, the oil is broken up into smaller particles which then sink to the ocean floor and are ultimately broken down by microbes into carbon dioxide and water. The dispersants are themselves inherently toxic and their effects on marine life when bound to oil are not entirely certain. The EPA has pressed BP to reduce its usage of the dispersant Corexit 9500, and to determine if any less toxic products were available. The EPA also pursued its own toxicity testing on the compounds and released its results this week. They report that of eight dispersants tested, Corexit 9500 is no more toxic than any other product, and that Corexit in combination with oil is no more toxic than oil alone. The testing was performed on two organisms: the mysid shrimp, Americamysis bahia, an aquatic invertebrate, and the inland silverside, Menidia beryllina, a small estuarine fish. 1) acute toxicity testing involves exposing the animals to variable concentrations of oil alone and oil-dispersant mixtures and determining how much of each it takes to kill half of the animals. That amount was similar for oil and oil plus dispersant. Dispersants alone are somewhat less toxic than oil. 2) in vitro testing of potential endocrine disruption involves exposing human-derived cells (in a laboratory) to the oil and to the oil-dispersant mix. The cells were then examined to see if there were any changes in the way the cells respond to estrogen or testosterone. No such changes were observed, and so both the oil and dispersant were deemed not to be endocrine disrupting in mammalian cells. As with any study, this one has limitations. While somewhat reassuring, the question of the long-term effects of these compounds is not answered by these tests. The effect on other organisms like shellfish, phytoplankton, bacteria, and so on, is not known. And, as the EPA itself points out, the test they performed on human-derived cells does not test all the ways a chemical can cause endocrine disruption. The capacity for endocrine disruption was also not tested on non-mammalian cells, so it remains unclear what impact they might have on fish, invertebrates, or other ocean dwelling organisms. As the oil spill gradually fades from the media spotlight, the creatures in the Gulf will continue their exposure to these compounds and thus their uncontrolled experiment on their effects. We will continue to follow this story and share both future results released by the EPA, as well as from any other credible source. SEANET superstar intern Sarabeth additional talent is capturing small rodents. Tomorrow, SEANET intern Sarabeth Buckley will be giving two presentations on SEANET. The first is at 10:30am at the Council on Aging in Salem, MA. The second will take place at 7:30pm at the Joppa Flats Education Center in Newburyport, MA. Sarabeth has scheduled an absolute whirlwind of training sessions up and down the Massachusetts coast over the next two months. We hope this blitz will lead to a major increase in coverage, especially on the north and south shores of the state where SEANET beaches have historically been few and far between. We are mostly excited and just a little nervous about the potential influx of volunteers, and we have Sarabeth to thank. She has been an amazing asset to SEANET and we will be sad to see her go back to classes at the end of the month. Thanks Sarabeth!